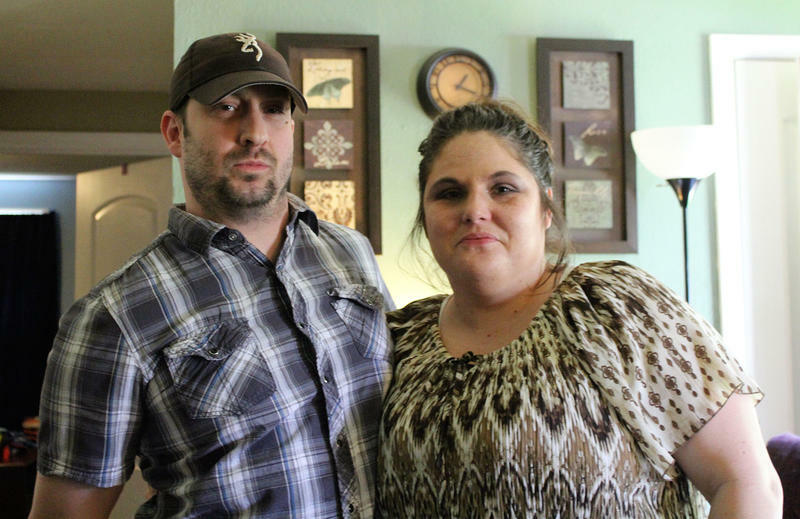 With high numbers of children in the foster care system and not enough homes to care for them, one Kansas contractor is turning to a short-term housing option. News last month that more than 100 foster kids had to sleep in offices over the past year while contractors worked to place them shed light on stresses in the system. The number of children entering foster care in Kansas has gone up by a third in the last five years, and more than 7,000 were in out-of-home placement at the end of August. Another contributing factor is the decline in the number of beds at psychiatric residential treatment facilities, from 780 in March 2011 to 272 in August 2017. That drop has made it more difficult to place children who need acute psychiatric care. KVC Kansas recently opened a short-term crisis center in Hays with room for 20 foster care children. In response, KVC Kansas, the foster care contractor for eastern Kansas, opened its first short-term crisis center in September in Hays. The crisis center is attached to KVC Wheatland Hospital, a children’s psychiatric facility. It can accommodate 20 children, with two beds to a room plus common spaces with TVs, couches and beanbag chairs. Jenny Kutz, director of communications for KVC Health System, said in an email that while KVC is putting a “huge emphasis” on foster family recruitment, “any number of children sleeping in an office is too many.” KVC intends the crisis centers to provide “a safe, comfortable, child-friendly place to stay while waiting to be matched with a relative or foster family,” Kutz said. KVC plans to open 20 additional beds in January by leasing additional space near its KVC Prairie Ridge Hospital facility in Kansas City, Kansas. It also is looking into opening another crisis center in Wichita. Officials with Saint Francis Community Services, the foster care contractor in western Kansas, said they have been looking for ways to expand placements since 2014, and intensified efforts as the number of overnight office stays increase. Saint Francis has added 53 emergency shelter or other specialized residential beds since May. Theresa Freed, spokeswoman for the Kansas Department for Children and Families, said the department has been involved “every step of the way” as KVC opened the crisis centers. 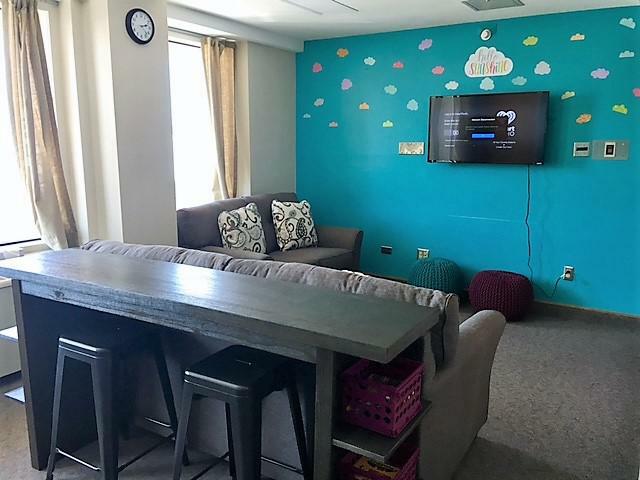 “It’s always our goal to make sure that children are placed as quickly as possible in a family foster home or in an appropriate facility, so we appreciate the work of our contractors to do so quickly,” she said. 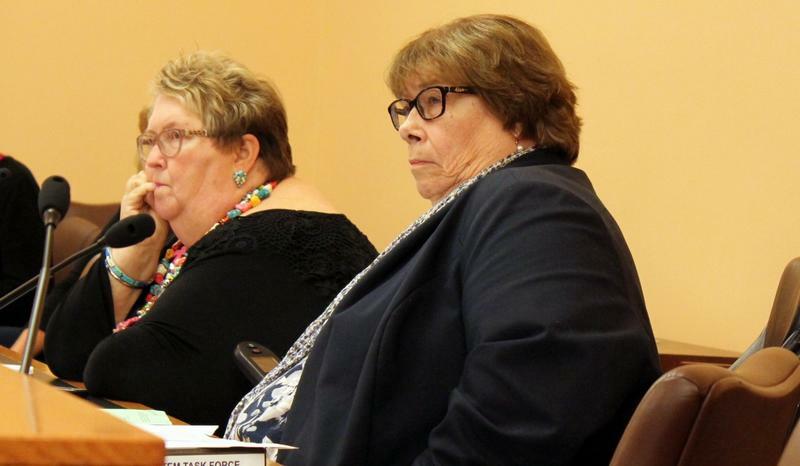 But the contractors’ efforts to respond to the shortage of placements has not assuaged lawmaker concerns about problems in the foster care system or DCF Secretary Phyllis Gilmore and her department’s supervision of it. House Minority Leader Jim Ward reiterated his past calls for Gilmore’s firing, while state Rep. Stephanie Clayton took it a step further on Twitter. From what DCF employees have told me, nothing gets better until everyone at the administrative level is gone. It’s never just the Secretary. Gubernatorial candidate Mark Hutton also called for a leadership change at DCF in a statement Friday, citing concerns that Gilmore did not appear to be aware of the disappearance of three sisters in Tonganoxie from the foster care system in August. Police announced Tuesday that three sisters, all under age 16, who went missing from a Tonganoxie foster home had been found safe, though an additional 62 children were missing from the two contractors’ care as of last week. Lt. Gov. Jeff Colyer, who is in position to take over for Gov. Sam Brownback when he leaves for a position in the Trump administration, has declined to comment on whether he intends to keep Gilmore on as DCF secretary. Editor’s note: This story was updated at 10 a.m. Oct. 19 to clarify the location of the future crisis center in Kansas City, Kansas. 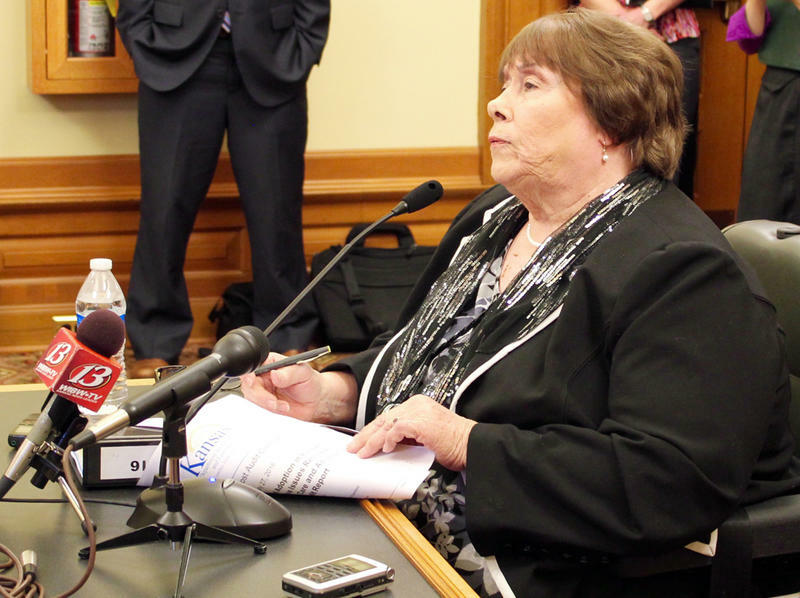 The news that about 70 children are missing from the Kansas foster care system is the latest in a string of concerns for lawmakers and child welfare advocates. Over the last year, more than 100 Kansas kids placed in the foster care system had to spend the night in offices instead of homes. Kids slept on couches or makeshift beds in the offices of the private organizations that handle foster care placement. It happened because there weren't other facilities available to immediately take them. Lawmakers and child advocates heard about the issue during a meeting of a foster care task force in Topeka. Republican Rep. Linda Gallagher is one of the group’s members.